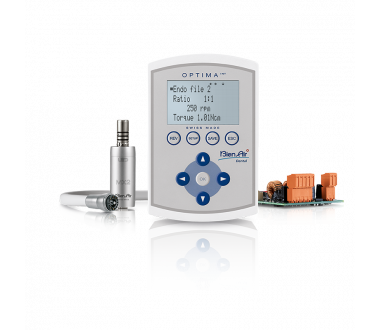 OptimaINT and its MX2 and MCX micromotors guarantee perfect control of the tool, managing the speed, torque and reversal of the direction of rotation. Providing the ultimate speed and torque control, the Optima INT and DMX control units with Smart Logic technology are capable of exploiting to the fullest the outstanding capacities of the MX micromotors. 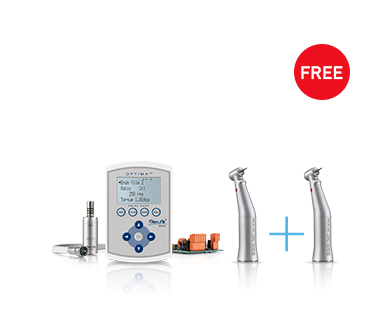 Thanks to its Easy-Nav philosophy, the Optima INT is incredibly intuitive and adapts to most dental chairs. 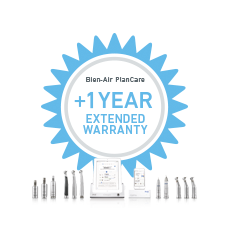 It is ideal if you want to upgrade your pneumatic chair to bring it into the electronic age. Quite simply, it offers the best Swiss engineering. OptimaINT is particularly versatile.